Let’s Drop Your Auto Insurance Rates Today! Primary Use Of Your ? Save up to 20% by Bundling a Home Quote? , You Qualify for Major Discounts! Complete this final step to see how much you save! Save up to 20% by Bundling a Home Quote. How To Start Saving On Your Car Insurance? Provide some basic information about yourself and your vehicle (This will allow us to generate customized personalized results). Our Smart matching engine will sift through thousands of possible insurance policies and only present you with relevant and valid options. You have the freedom to choose the specific policy you feel suits you the most from a list of matching policies we provide. 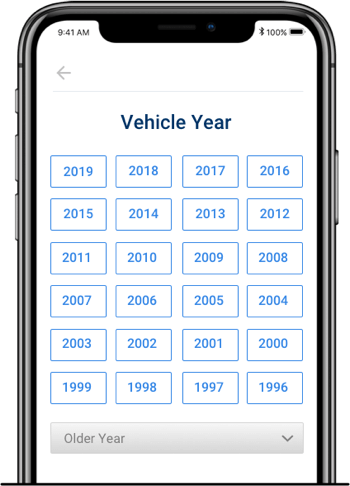 We take all the information you provide regarding yourself and your vehicle and compare it in real time to our live database connected to dozens of top insurance carriers. This results in a list of policies that are specific to your personal circumstances and are from carriers that are willing to insure you. Why is it so important to have personalized results? Because many of us spend countless hours filling endless documentation just to find out there is no relevant policy or getting declined for insurance. The InsuresNation platform makes sure you are presented with the top options in one place. The service is free and you are never obligated to buy the presented policy.